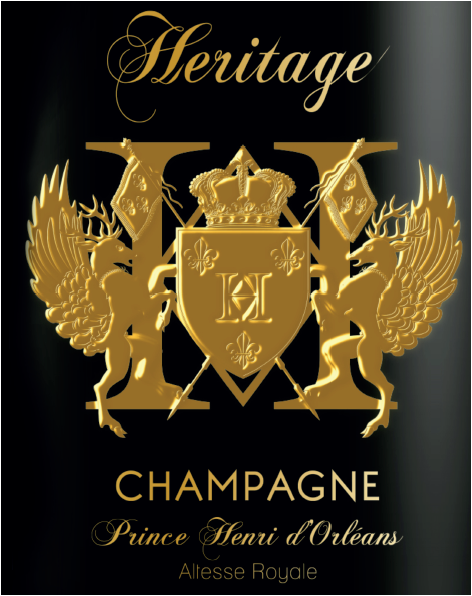 The Champagne Heritage Prince Henri d’Orléans, Altesse Royale was born from the meeting of a common wish of HRH Prince Henri d’Orléans and Stanislas GOUIN, to promote the culture of Excellence, the know-how of artisans, farmers, French winemakers; a certain “French way of life” mixing authenticity and modernity … to enhance a millenary heritage. 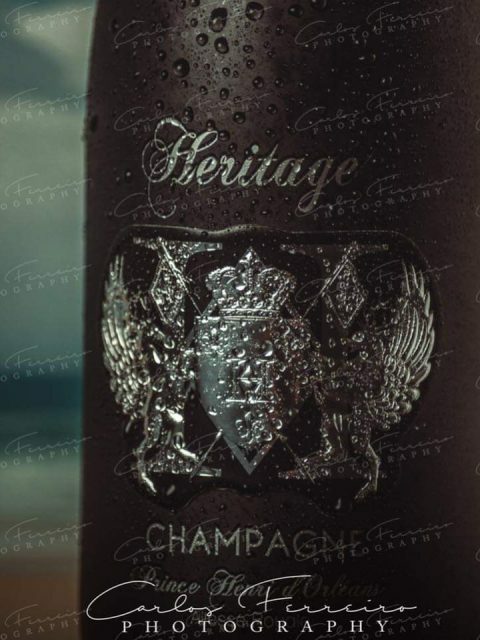 Prince Henri d’Orléans, Head of the Royal House of France, has always defended this vision of the protection of the common heritage, history, …with a family, a direct descendant of the House of the dynasty of forty kings, including Saint Louis, Henri IV and Louis XIII, who made France. Henri d’ Orléans is Earl of Paris, Duke of France and the current head of the Royal House of France. He was born in Belgium in 1933 for he was struck by a law of exile applicable to every heir of the families who used to rule over France. 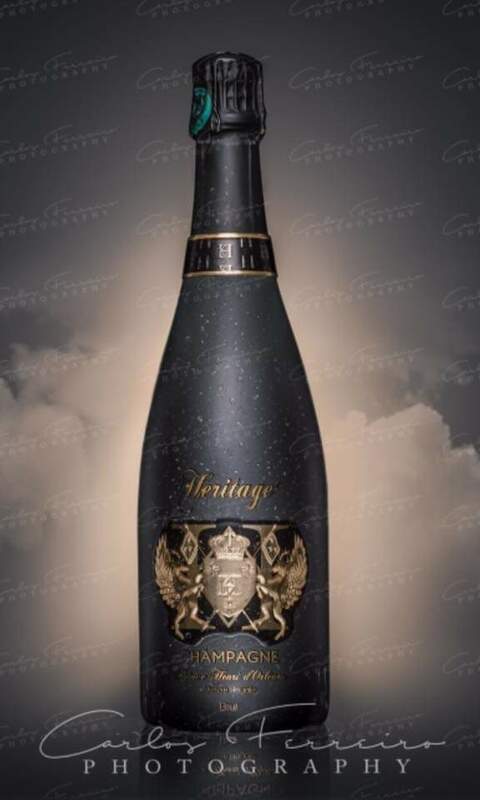 By 1948, the Prince was allowed to pursue his studies in Bordeaux thanks to a special permission from Vincent Auriol, President of the Republic. There, he made friends such as Jacques Chaban – Delmas. He enlisted as a volunteer in 1957 and left for Algeria. Condecorated with the Cross for Military Valour, the Prince was called in 1959 by the Secretariat General for National Defence, General de Gaulle. He was in the Foreign Legion for five years, in Bonifacio (Corsica) and Mers – el – Kebir (Algeria). He was awarded by the Legion of Honor for his military career in 2009 by Nicolas Sarkozy, President of the Republic. 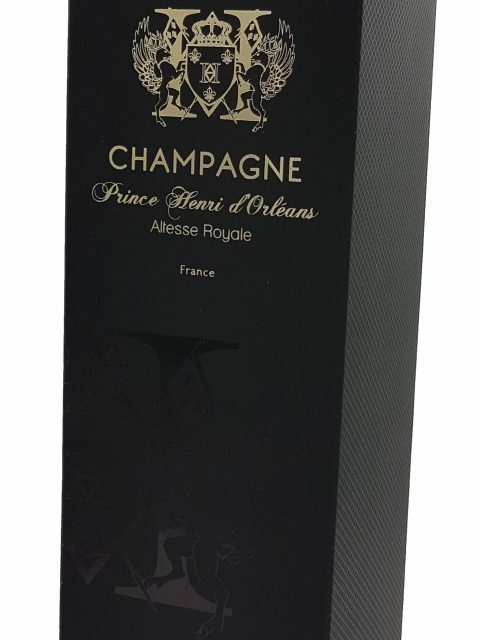 He got married in Bordeaux in 1984 with Micaela Cousino Quinones de Leon, Princess of Joinville, daughter of the Marquise de San Carlos (Great of Spain), and Luis Maximiliano Cousino (a descendant of pioneers who founded Chile). Painter out of personal inclination, Prince by status, the Earl of Paris has made more than a hundred watercolors to capture the rustlings that surround us, those that tell him about his country, his land, … a hundred of messages from France. Henri of Orleans made use of the full arms of France (“of Azure with three gold lilies”). 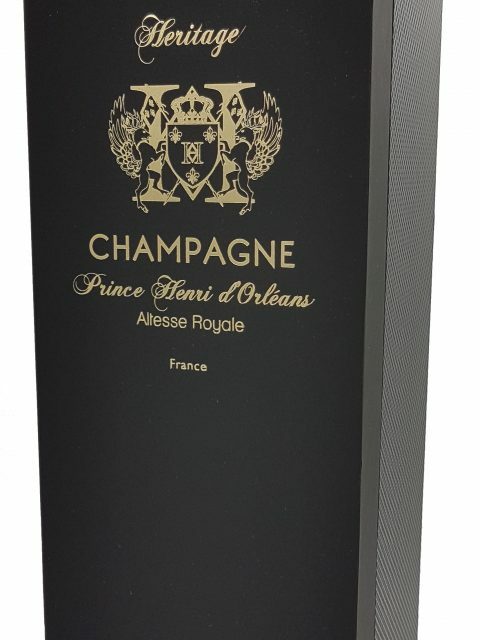 The first cuvée of the champagne Prince Henri d’Orléans, Altesse Royale, with the evocative name of Cuvée Heritage, is the beautiful setting summarizing all by itself: the purest champenoise tradition wines patiently developed by enthusiasts, lovers of the soil and the precious beverage, while applying the latest techniques of vinification, assembly and disgorging that allow an accurate and quality production of its wines. 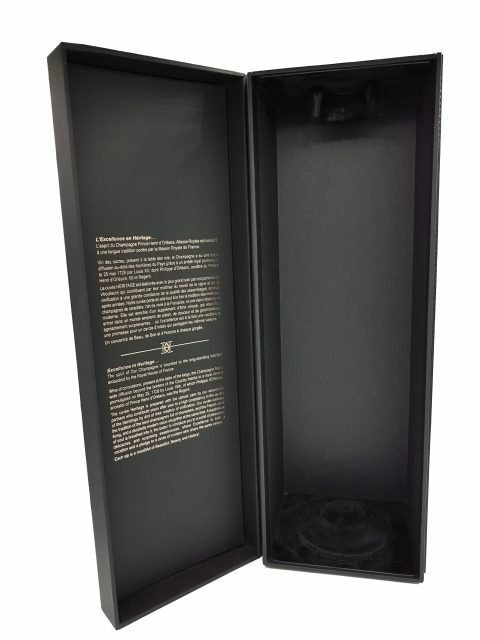 The vinification of its wines is made in ultra-modern vats with thermoregulated stainless steel vats that provide control of fermentation temperatures and thus promote the expression of the typical aromas of their terroir. 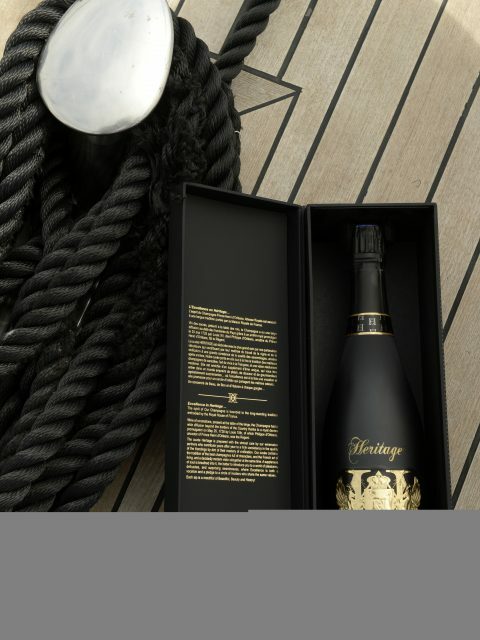 The blending is carried out with the wines of the last vintage and reserve wines to guarantee the consistency and the balance of the taste of its cuvées, in the search for an “ideal of perfection”. 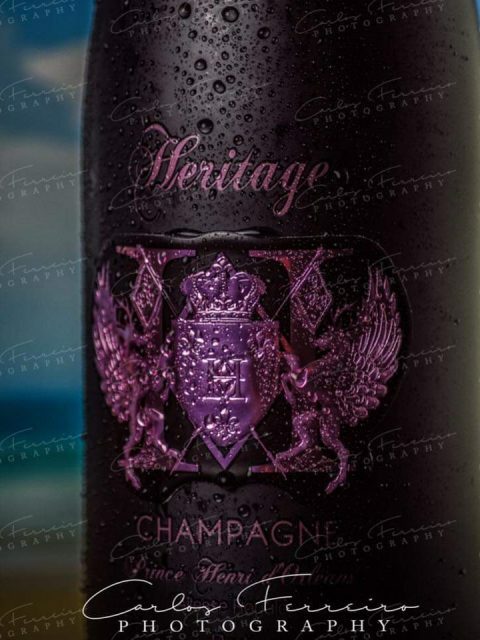 Its wines mature at least 2 to 3 years, and up to 15 years for vintages. 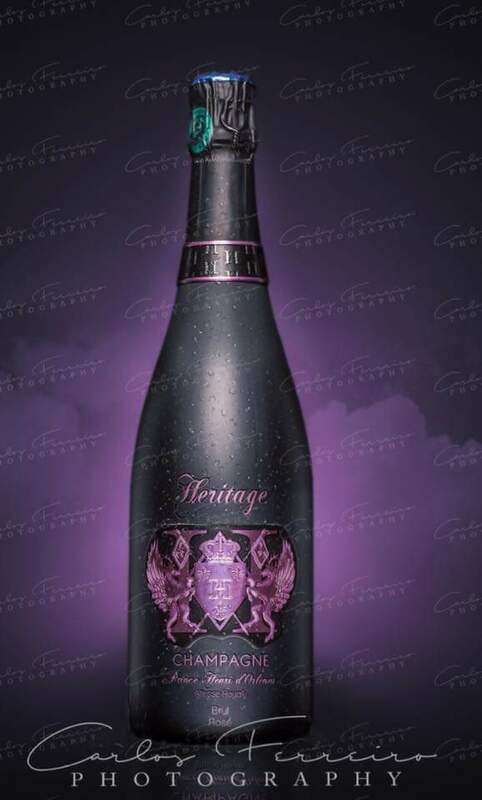 The Heritage cuvée is distinguished by its different versions (Brut, Rosé, Vintage, Blanc de Blancs …), its intensity, its richness in the mouth, its freshness and its elegant finesse, bringing champagne lovers a unique experience to share in a moment of conviviality and pure pleasure with sparkling flavors. 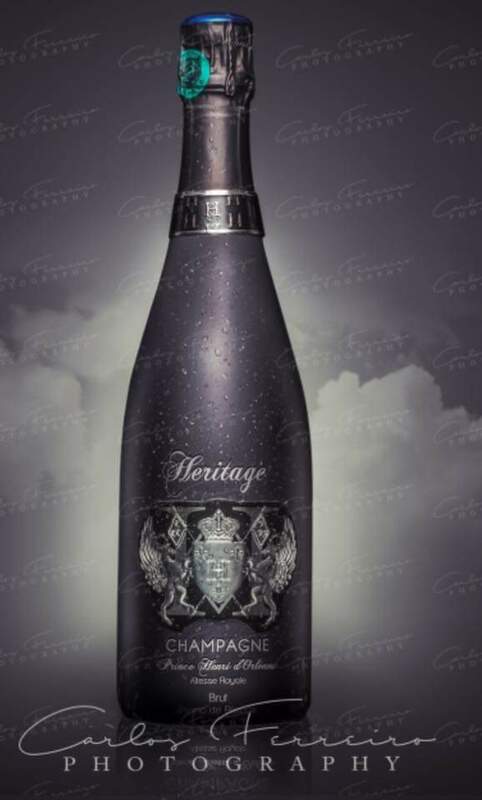 The three Champagne grape varieties selected for this cuvée bring the unique and complementary characteristics sought: Pinot Meunier gives roundness and fruity; Pinot Noir, body and power; finally Chardonnay brings finesse and liveliness.